Why Choose Our Law Firm in Phoenix, Arizona? MICK LEVIN, PLC is committed to your pursuit of justice. When it comes to choosing a personal injury law firm to handle your case, it is crucial that you choose wisely. Don't let panic and fear take control of your decision-making. The law firm you choose to represent you has the power to make or break your case. So why should you consider our law firm? Because, simply put, we are very good at what we do. We live in Arizona and love our state. We are deeply involved in improving the lives of victims in our community. We have obtained an Excellent Avvo Rating. We take heavy-weight opponents to trial. We are relentless in pursuing compensation for you – we don't give up. We're known for our success for our clients. We address each case with compassion, sincerity, and integrity. We are committed to your physical, emotional, and financial recovery. We treat you with respect and care. We are real people who are concerned about each person we represent. Our clients are mothers, fathers, spouses, and children who have been critically injured by the irresponsible actions of others. Many have lost their lives because of drunk drivers. Some are patients whose doctors have failed them. They could be homeowners and car owners whose insurance companies have refused to pay claims. And they are average citizens whose government has failed to protect them. The law firm of Mick Levin, P.L.C. is dedicated to helping the victims of individuals and organizations who refuse to accept responsibility for their actions. You don't have to face this stressful situation on your own. Our Arizona personal injury attorneys are happy to answer your questions and address your concerns so you can feel peace of mind. Schedule your free case consultation with the lawyers of Mick Levin, PLC today! 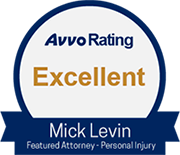 Mick Levin, PLC takes your injuries seriously. We only represent victims who are facing critical situations and are in need of real solutions. When you come to Mick Levin, PLC, you can feel confident knowing that your anxieties and worries are being handled by our legal team who will treat you with the respect that you deserve - not as just another case number or case file. If you or a loved one has suffered injuries or property damages at the hands of someone else, do not wait another moment to retain a skilled attorney. If we decide to take on your claim, we will prepare your case for trial. 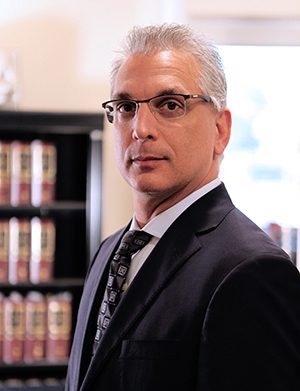 We are not afraid to take on complex matters that may require litigation or courtroom advocacy. Our legal team is here for you and your family during this difficult time. With years of experience and a reputation for successful and devoted advocacy, you can trust us to promote your interests. Why choose a firm inexperienced in these types of cases when you have the option of working with a tried and true litigation team? We help victims deal with personal injury lawsuits, breach of contract and bad faith cases against insurance companies. We understand what is at stake and we are prepared to help you. We have recovered millions of dollars in settlements on our clients' behalf. We provide our clients with personalized attention, and refuse to settle for less than our best effort on your behalf. We'll deal with your worries, hassles, and paperwork while you focus on what's most important – getting better. We have the resources to fight for the money you deserve for medical bills, lost wages, and pain and suffering. Mick Levin, PLC builds compelling cases based on knowledge and experience. We understand that every client who comes to our office deserves unique and personalized representation that is customized to their unique needs and goals. Our firm has been dedicated to providing our clients with this specific level of representation as we pursue maximum compensation and justice. When you have been injured, your family has been harmed, or your property has been damaged, we work hard to get answers, pursue justice, and help you receive the fair compensation that you deserve. You are not just a case file - We treat each and every client as a completely unique individual, deserving of recognition, compassion, and respect. We want to help you gain the compensation you need to move on with your life. We will walk you through the proceedings, step by step. We understand the importance of working with a professional and caring attorney. Compassion and respect - Most clients come to us during difficult times. Our firm empathizes and understands that you are looking for help, so our legal team makes themselves available. We are here to offer you trusted legal advice, and also to listen to you and give you some peace of mind. Availability - The legal team of Mick Levin, PLC make time for their clients. We are here to answer questions and address concerns, and are always just a phone call or email away. We can provide nighttime and weekend appointments to fit any busy schedule. No matter how minor or complicated your situation may seem, you can feel at ease knowing your case is in good hands. We will do everything in our power to help you obtain a favorable outcome. We take pride in helping those who have suffered as a result of another's actions, and obtain justice where the criminal justice system cannot. Great Lawyer! Mick is a wonderful lawyer. He worked hard to get me the money I needed for my spinal injury. He is a friendly, trust worthy lawyer. He is aggressive against the opposition; he is fighting for you! Mick came very highly recommended by a family member. Right after the accident, he went out of his way to visit me and has been advising me ever since. Mick was there every step of the way with my case. I am glad to have had him on my side. Mick took the worry away when dealing with the insurance companies, medical bills, and general uncertainty of the situation, which allowed me to focus on recovery. I would highly recommend Mick. Attentive, detail -oriented. Mick accepted a medical malpractice claim for my wife after another law firm told us we had no case. He takes time to fully explain the issues and his actions. He stuck with the issues, finding comments, notes and facts with medical support for my case and pursued it aggressively though settlement. Great Attorney! Mick has worked on a number of cases for me and my family members and did a wonderful job. He is attentive to you, knowledgeable of the law, courteous, kind and gentle, but tough and creative when he needs to be. He understood my pain and suffering, and wouldn't stop for a small settlement. I would recommend him to anyone who needs a great, understanding attorney on their side. When you have been injured, your family has been harmed, or your property has been damaged, we work hard to get answers, pursue justice, and help you receive the fair compensation that you deserve. We have helped past clients achieve multi-million-dollar settlements in a range of personal injury claims. When you are faced with a critical situation, choosing our firm may be the wisest decision you will make. With substantial courtroom experience in all areas of personal injury, we can answer your pressing questions, address your immediate concerns, and handle any case complexity with skill. We have the ability to go the distance.